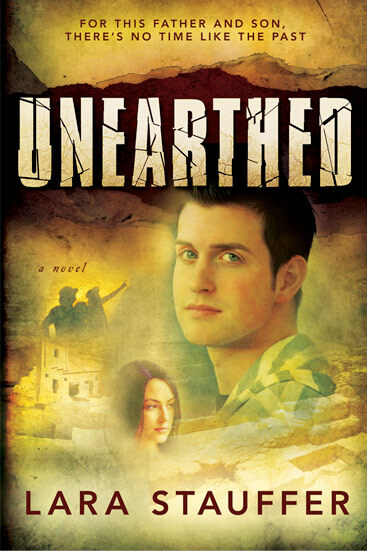 Welcome to the official website of Unearthed, a novel by Lara Stauffer. Matt’s spent years resenting his father and the church, but a once-in-a-lifetime archaeology trip forces Matt to face more than he bargained for as he and his father unearth a city that’s been lost for centuries. This thrilling adventure is bursting with laugh out loud humor, a touch of romance, and more than a little mystery. A fun read for the whole family! 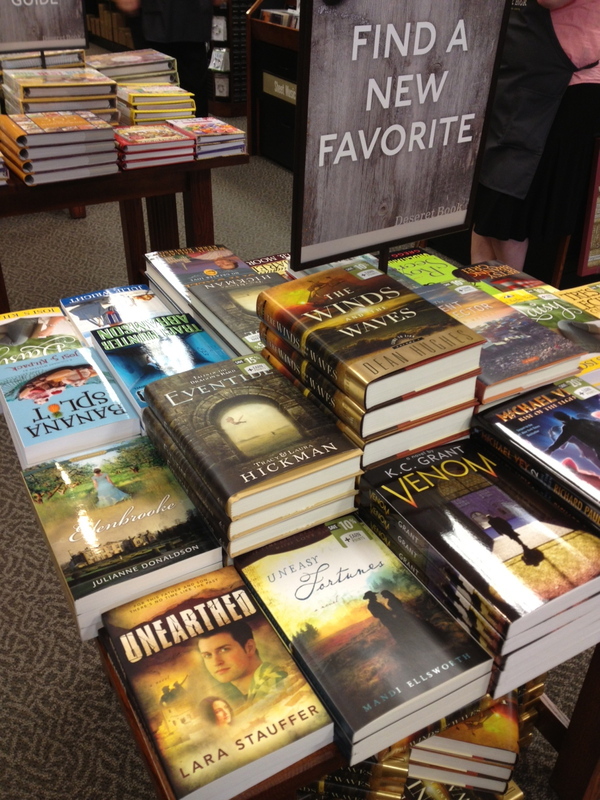 Unearthed is now available in Deseret Book Stores. 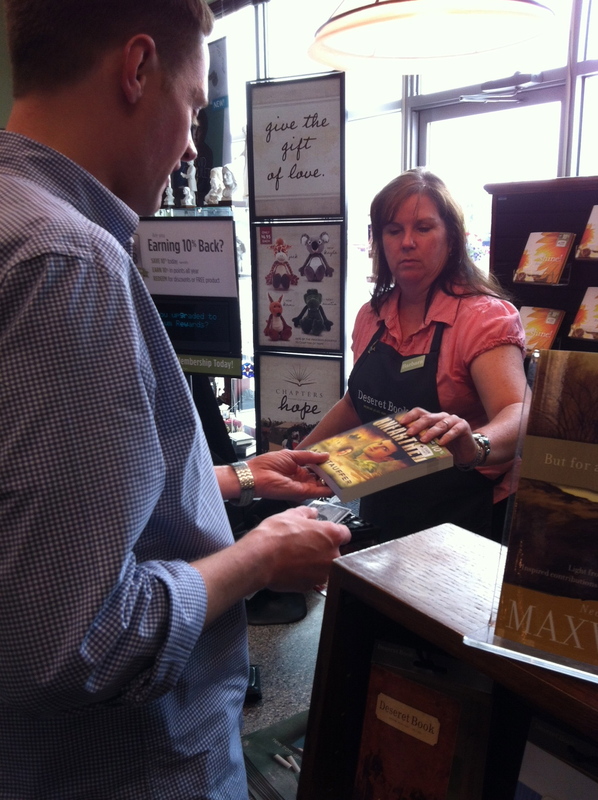 It was also featured in the Deseret Book Fall catalog! Click here to see. 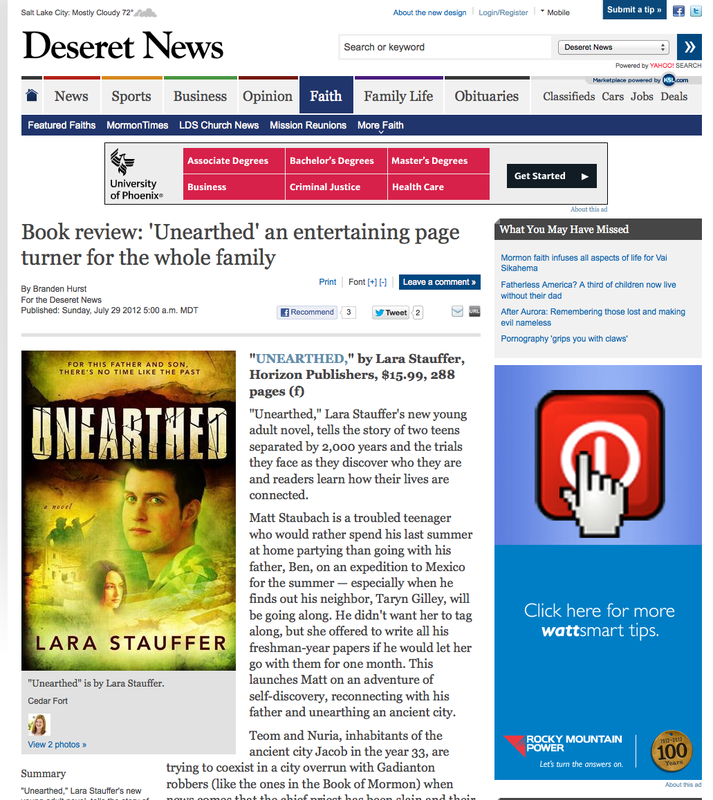 UNEARTHED was reviewed in today’s edition of Deseret News! Click the pic to read the review. Very exciting! Love your e-readers? UNEARTHED is now available in the Amazon Kindle store and on Nook! 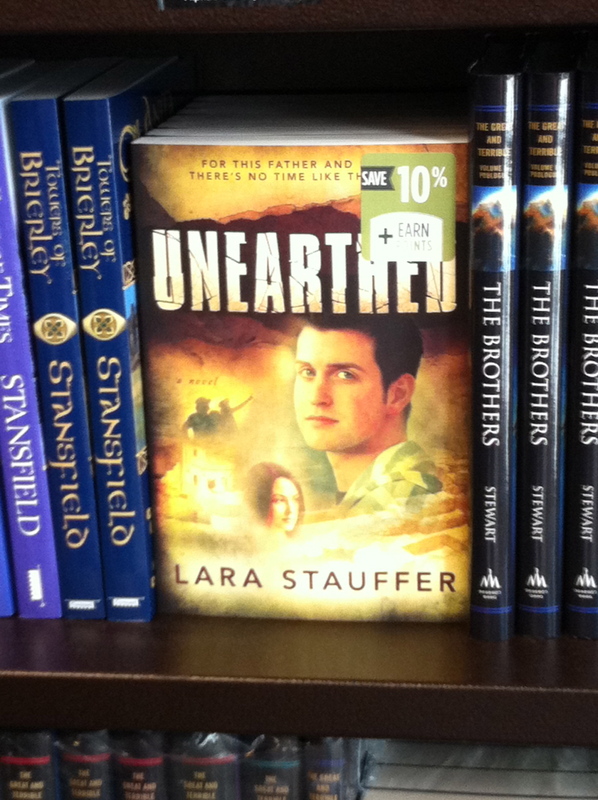 UNEARTHED is now available at the BYU Bookstore! Click here to purchase. Happy Reading! Books and Books and Books! Thank you everyone for a successful launch so far! I’m getting pictures people are posting of my books as they arrive at their houses! So great to see it! Thank you everyone for your support! Click here to see the latest reviews! For now you can pre-order at DeseretBook.com, Amazon.com (there’s a few left) and Barnes & Noble.com. Thanks for all your support! Four more days before the release date of UNEARTHED! And only a few more copies for sale over at Amazon (click here to order), but Barnes & Noble.com has some as well! Pre-order yours today! 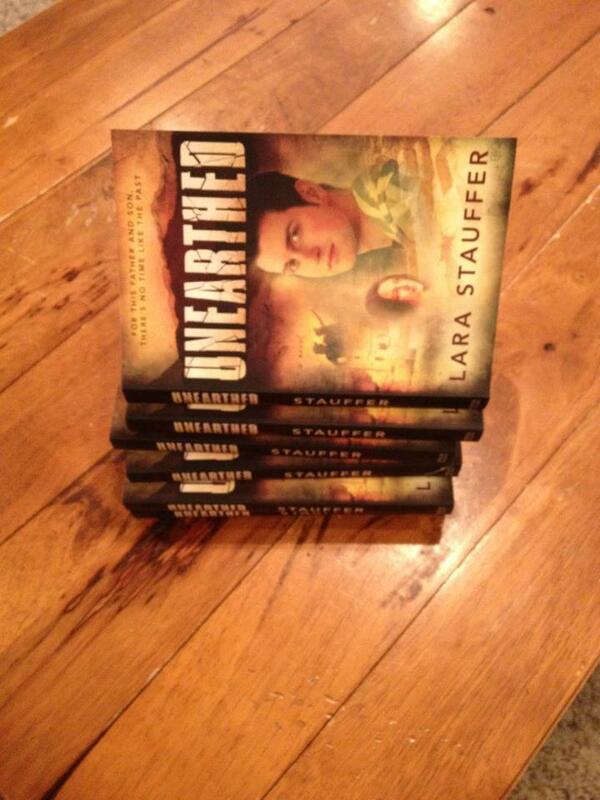 Official website of Unearthed, a novel by Lara Stauffer.